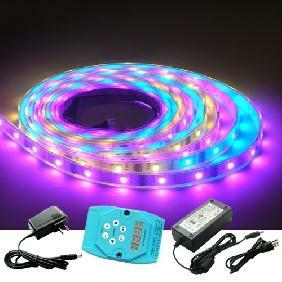 This is a 5m Dream-Color Led Light Strip with 1903 IC, a Power Supply 12V 5A & UK/US/AU Plug (the plug type will be sent based on the country of the buyers) and a wireless remote controller 1903 IC. 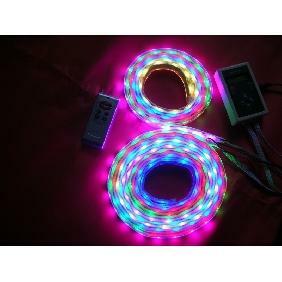 It is waterproof and flexible, comes with 133 different changing patterns and effects, great to use in home, garden office and shops decoration etc. 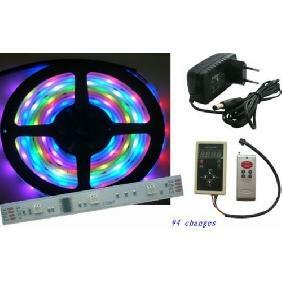 This controller is designed for led production which use 1903 as driver, it is good for light box advertisement, stage light, house decorating, and so on. 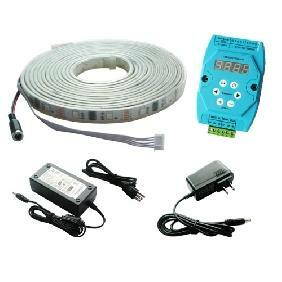 ON/OFF button, it can open or close led anytime, when led is on the station of closing, The LCD will display �IC NUMBER: ***�,�***�is the value of current setting. Play/pause button, when you want to see the static effection of led ,you may press this button to pause. Program choosing button, up direction�����?there are 83 programs in all. 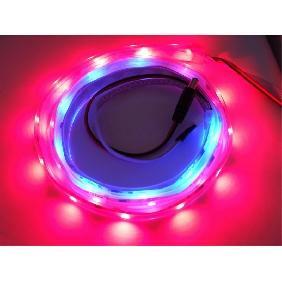 ON/OFF: ON/OFF button can open or close led anytime, when led is on the station of closing, The LCD will display �IC NUMBER: ***�,�***�is the value of current setting. 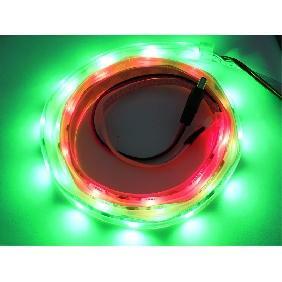 MODE: Play/pause button, when you want to see the static affection of led ,you may press this button to pause. M+: Program choosing button, up direction,there are 83 programs in all. M-: Program choosing button, down direction. 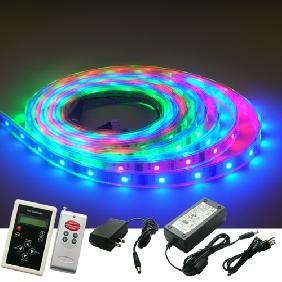 5m 1903 Dream Color Led Strip Light 133 Effects Kit for Christmas Rating: 5 out of 5 based on 1 reviews.